The lamp, made from the crystal-speckled Norwegian Lundhs Blue, doesn't feel cold or rigid, but creates an honest object with contemporary lines. 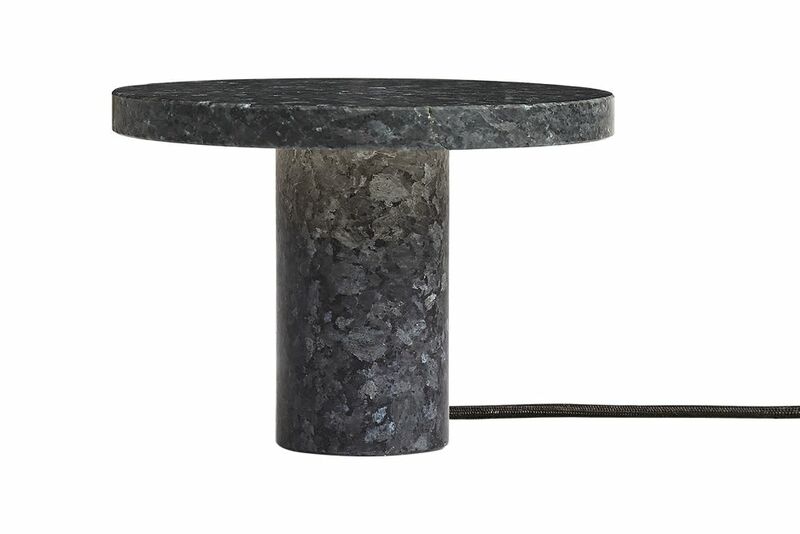 The granite stone has a unique surface; characterized by its blue feldspar crystals, highlighted by the LED hidden in the solid lampshade. The atmosphere it creates, is one of the most important aspects of light, and the reflections from the crystals, create a play of light unique for every lamp, with an emotional resonance and reference to nature.